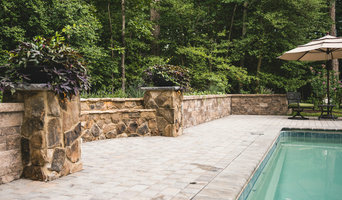 Formerly located on the North Shore of Long Island, New York, we bring over 35 years of design and landscape experience to the Central Virginia area. We continue the tradition of many smaller family owned businesses, offering a more personalized service to our clientele, while ensuring quality workmanship and integrity throughout our business relationship. 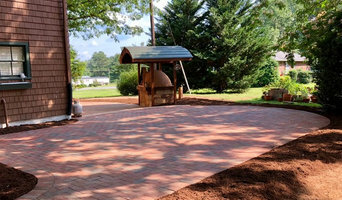 Evergreen Hardscapes is a full service hardscape construction firm based in Charlottesville, Virginia specializing in creating stunning outdoor living spaces. Our goal is for you to know that you have a knowledgeable and determined partner in achieving your dream. We want our clients to have a rewarding experience; one rooted in clear communication, well-defined timelines, and sound building practice. From the first meeting to the final brush stroke we want you to feel included and empowered. 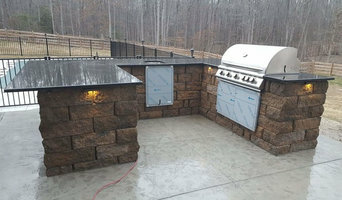 We design and install outdoor kitchens, patios, pool decks, steps, walls and walkways. 2018 -Top Contractor Award Winner by Pavement & Maintenance Magazine Best of Houzz - Service 2014, 2015, & 2016 J. Worden & Sons Paving, L.L.C. is a family-owned and operated This Company providing paving services for over 40 years! 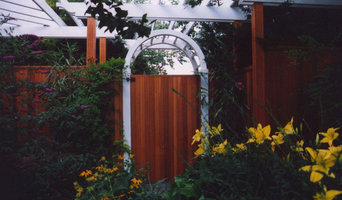 We handle a wide variety of commercial and residential projects for clients. And, we couldn’t have done it without our dedicated staff. Our employees have spent most of their lives working in the construction business and know the in’s and out’s of everything to due with paving and hardscapes. With our attention to detail and dedication to delivering the highest quality work possible, you can rest assured knowing that your project is in the hands of an extremely talented, trustworthy, and experienced team of employees. 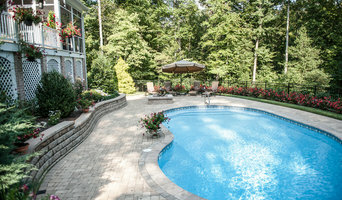 Greystone has been in business for over 20 years doing both residential and commercial work. We specialize in working with the customer to assist with the designing, planning and building of exactly what they want. Our goal is to make the customer happy with their project, improving the value of their property and giving them the satisfaction that Greystone can provide their home with long lasting beauty.